Sooo.. The truth is, right after I posted my previous post (just ONE day after), I was back to being a wreck.. Sheesh! So only one week of calm then. I was hoping for it to last a bit longer or just stay that way because I'm tired of being so sad all the time. I'm glad I have my classes (I should really write about those kids of mine), the only sunlight in my rather gloomy days nowadays. Though awal tahun dulu was a bit of discomfort when some noticed I didn't look quite as happy as before (They were also the ones who noticed I was looking very happy those more than a few months back, so what do I expect). I was smiling AND laughing, mind you but.. It was then that I realized I needed to stop feeling so sad. I see these stuetns only once a week but they DO notice things. I don't mind them teasing me when I can't keep smiling, but for them to be concerned to see me not as 'chirpy' as before, it's kinda embarrassing.. and pathetic haha..
Sp for their sake (and my own too), I need to summon back that calmness of the mind I had that week. I just don't remember what triggered that feeling though. I wish I'd just stop feeling this way. 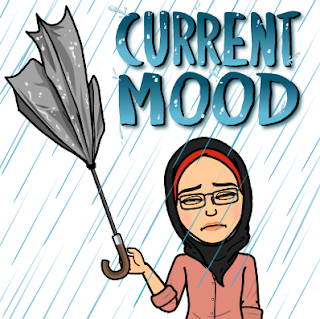 Orang dah move on lama dah, why am I still here?